Got leftover ham from Easter? 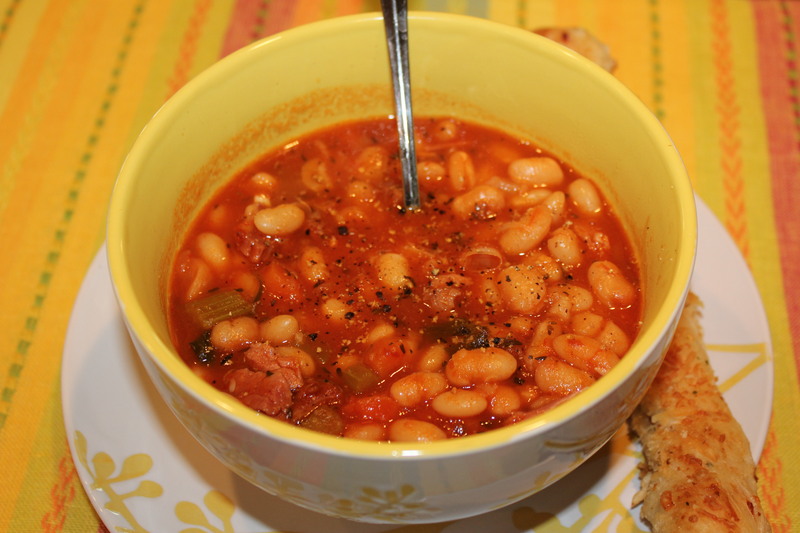 Here’s a hearty ham, bean and tomato soup you and your family will love. 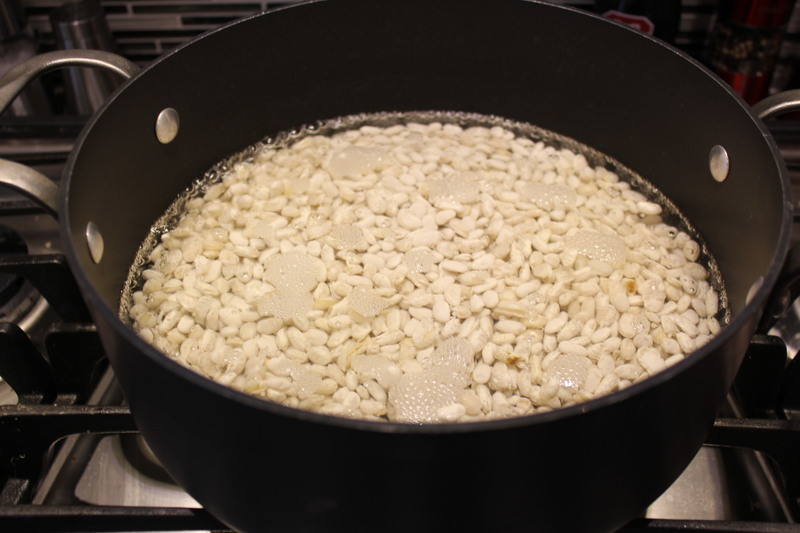 It is so easy to make, but a bit time consuming if you use dried beans, since you have to soak the beans according to the package (usually for a couple of hours or overnight), to soften them. If you want to speed up things, go ahead and used canned beans, and just reduce the cooking time. I recommend using Tuttorosso’s no-salt added crushed tomatoes with basil — a great, fresh choice for this soup since the ham is already salty. 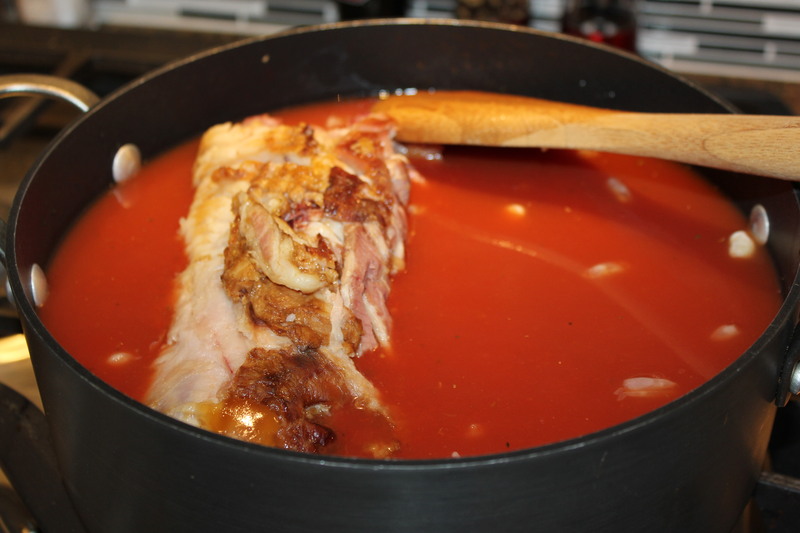 I also use the ham bone for extra flavor and let it simmer in the soup right until I’m ready to serve it. 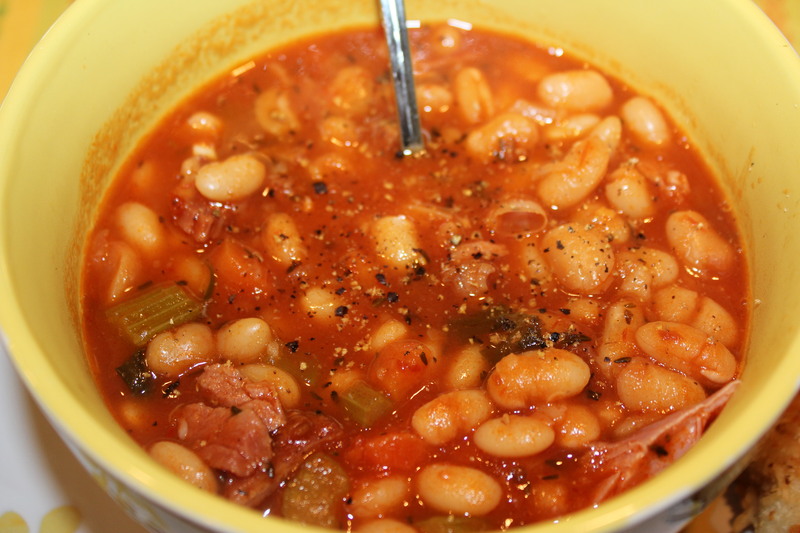 If you have leftovers, you will probably want to add some water to the soup when reheating it since the beans tend to absorb the liquid. Or else just serve it like a chunky chili – your call! Prepare beans according to directions on package. Drain and rinse. 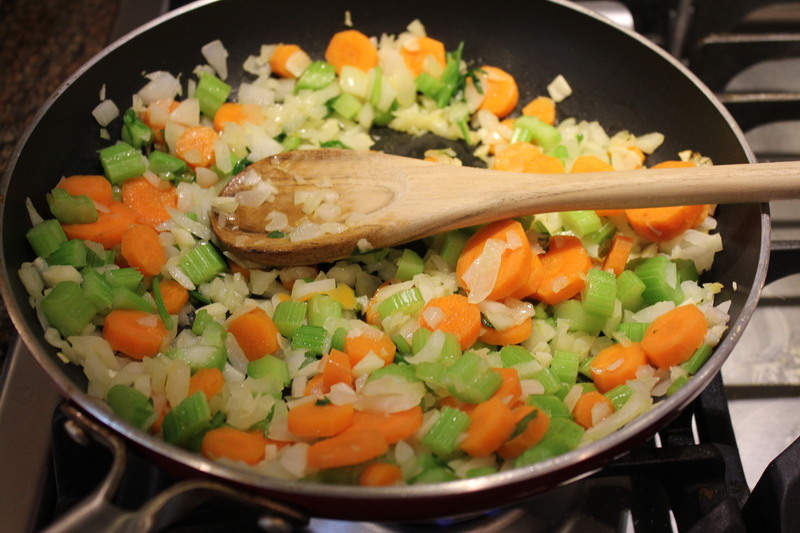 In a medium skillet, heat oil and sauté onion, celery, carrot and garlic for a few minutes. 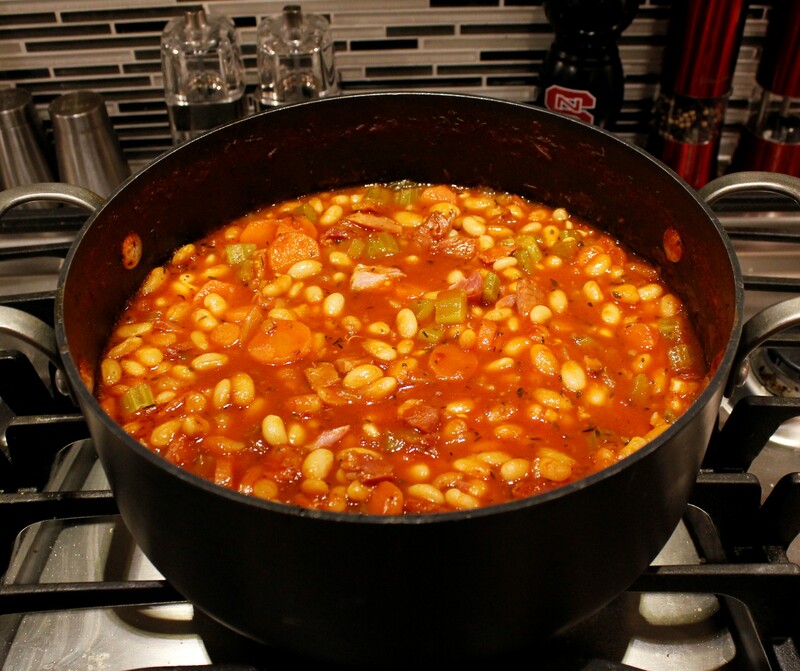 In a large pot, combine the beans, chicken broth, tomatoes and ham bone. Add the ham, veggies, thyme, red pepper, salt and pepper. Simmer for an hour or so. 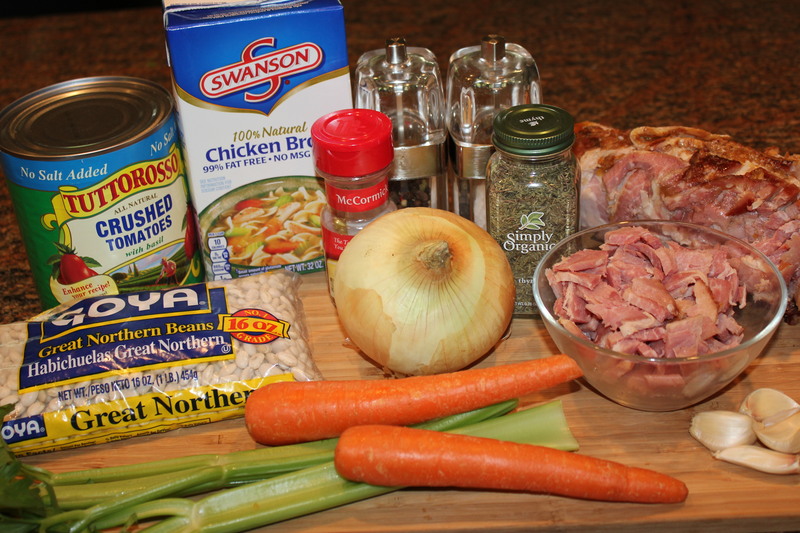 Remove the ham hock and add any of the meat that easily tears off to the soup. This soup goes great with Kel’s garlic and cheese breadsticks, or else serve with a nice tossed salad. 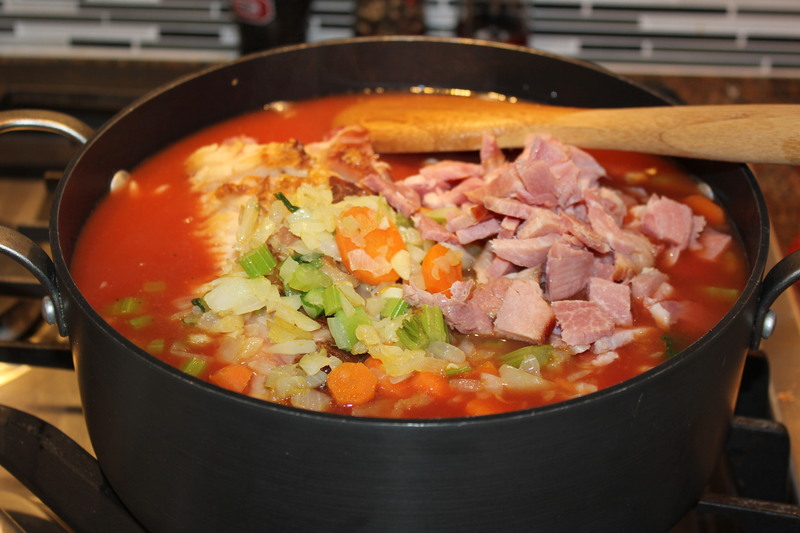 This entry was posted in Recipes, Soups and Such and tagged eat drink and be merry, Kel's ham bean tomato soup recipe, Kelley Chisholm soup recipes, leftover ham recipes, Tuttorosso tomatoes recipe. Bookmark the permalink.